Guide price 165,000 - 175,000. Freeman Forman are delighted to present this first floor one bedroom apartment with allocated off road parking. The property has a shared entrance with just one other apartment and is located in a very central location for all of the Towns amenities. The property benefits from a ground floor entrance with a private staircase that leads up to the first floor landing with some space for storage. 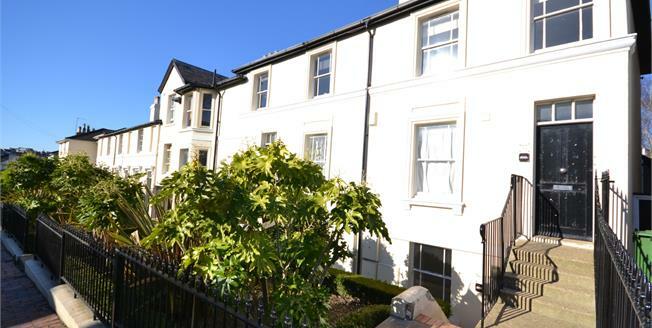 There is a bright open plan kitchen/reception room with two sash windows and loft access. There is also a double bedroom with an en-suite shower room. Outside to the rear of the property is an allocated off road parking space. The property is available with vacant possession, and information regarding the lease length and service charge is available via Freeman Forman.